We have already covered content marketing and email marketing; therefore, we will discuss Event-based Marketing. 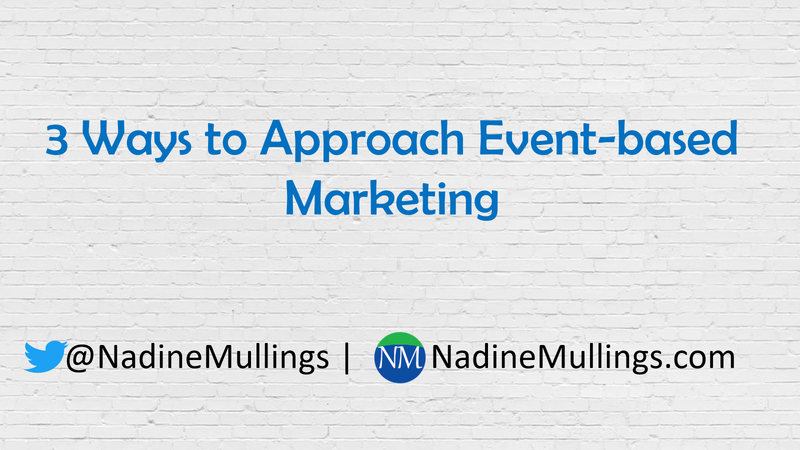 Let’s look at 3 Ways to Approach Event-based Marketing. Attending Events – learn to attend networking events, workshops, seminars, conferences, etc. Be sure to choose events that target your target audience or your industry colleagues or potential partners. 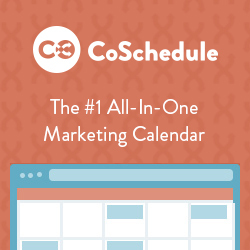 Strategically choose events to attend and add to your calendar at least twice a month. Speaking/Sponsorship – consider speaking at events that put you in front of your target audience and potential partners. This is is probably the fastest way to increase your visibility as an expert or authority in your industry. Sponsorships serve the same purpose of putting you in front of your target audience and potential partners. Hosting – hosting an event works really well, but it requires a lot of time, energy and effort. It provides brand exposure, shows you as a leader, as well as presents you as an expert. You can host seminars, brunches, conferences, etc. You should have a mix of these in your marketing. Keep in mind to be strategic about choosing which to do and how often you choose. A tool that can help you plan your engagement is The B.E.S.T. Marketing Planner. Don’t forget to share, comment, and like!